Most people may be surprised to find out that in order to become a real estate agent, you have to acquire a real estate license. That endeavour takes time, effort and patience and to get one, you must attend a Real Estate school. With a variety of real estate schools in the United States, it can be overwhelming when choosing which one to attend. In this post, we are taking an in-depth look at one of the country’s most renowned real estate schools: the Kaplan Real Estate School. Have you ever been interested in becoming a real estate agent? To fulfill that goal, you have to become certified. Acquiring a real estate license requires you to go to school. While most people attend a university to get their real estate license, some people prefer to learn from the comfort of their home, either with textbooks or online courses. For those who prefer that learning setting, it can be difficult to find a quality and accredited program. If you're wondering if there's a real estate school that provides a traditional classroom setting, textbook lessons you learn from home, and an online school the answer is yes. At Kaplan Real Estate School, you can earn your real estate license by either attending class, using textbooks at home, or using an online platform. What are the Pros and Cons Associated with Kaplan Real Estate School? Every real estate school has their pros and cons. Let’s take a close look at what the Kaplan Real Estate School has to offer, and its associated pros and cons. The Kaplan Real Estate School is available in 19 states. 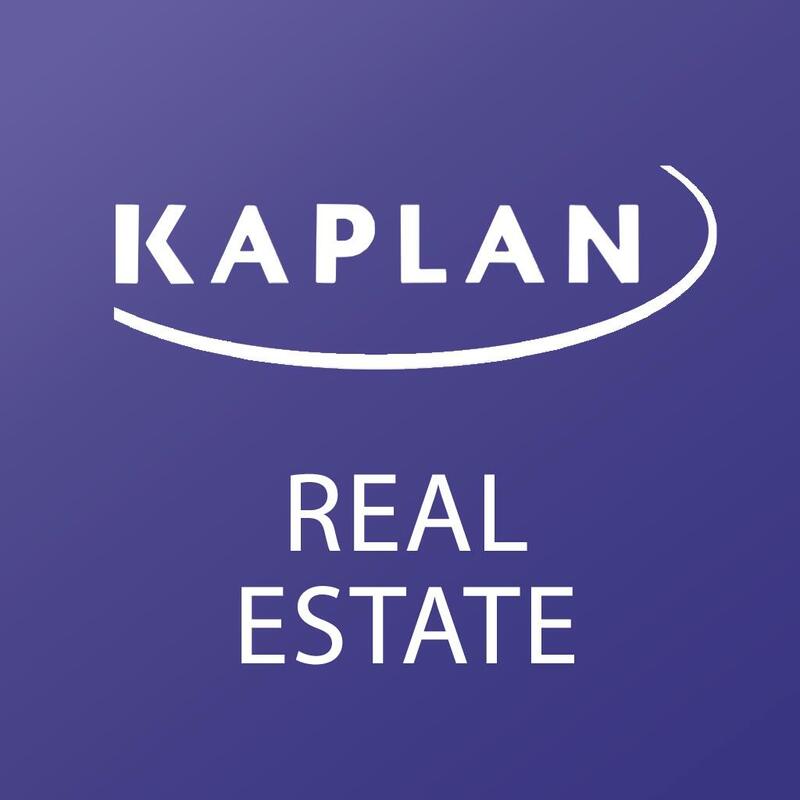 Kaplan Real Estate courses are offered in: live instruction, home study, and online. Just pick your preference and start working towards your real estate license. The online Kaplan Real Estate classes are self-paced. You have up to six months to complete it. So, if you’re extremely busy one week, you don’t have to worry or stress about falling behind in class. It offers practice exams, as well as other study materials, which allows you to prepare as much as possible for the exam. An average of 76% students pass the exam, which proves that Kaplan Real Estate classes prepare you, for the exam, as much as possible. Study groups are available to help you fully understand what you learn in classes. The cost of classes ranges from $199 to $649. The price varies among the course package and the state you are located. But, unlike other real estate schools, the Kaplan Real Estate School does not offer tuition assistance, or a payment plan. Once you sign up, expect to pay tuition in full. While most real estate online courses have an instructor Q&A, where the instructor can respond using multiple platforms, the instructors here can only correspond by email. Since choosing a quality real estate school is instrumental in helping you get your real estate license, it is imperative that you choose a fantastic and renowned real estate school. To help you decide if a real estate school is a good fit for you, check out the reviews. If you have been on the fence about enrolling in this school, then take a look at these Kaplan Real Estate School reviews. ActiveRain did a Kaplan Real Estate School review in which they gave the school a 4.17 out of 5 rating. Like reviews, testimonials can tell you a great deal about the best online real estate schools. The first one comes from Wendy Gimpel, a real estate agent that got her license at Kaplan and talks from her own personal experience . The following testimonial comes from Kathlee L. and was left on Yelp. Overall, this school will provide you with quality courses, which are instructed by professional real estate agents. If you are really serious about achieving a real estate license and prefer taking classes online then attend the Kaplan Real Estate School. I reviewed a lot of online real estate schools -- like Real Estate Express -- but Kaplan is definitely your best option and my recommendation.